Develop fast – use Lean method! However, definition of innovation is tricky. This we learned during the Design Thinking course at Laurea University of Applied Sciences. Our lecturer showed us pictures of products and asked us to tell if they were innovations or not. Some pictures got equal amount of “yes” and “no” votes. A very common definition is that an innovation is a new product, process, service or an invention. But, an innovation can also be something that is already been used somewhere for some time; if it is a new process, a new way of doing something for a specific target group, then it can be an innovation for that specific group! So the difference between an innovation and a new service or a product is small. And marketers take a full advantage of this and call almost every new product or a service an innovation. As stated earlier, innovation processes take time – and so does the traditional product or service development processes. There is however a faster way to create new products and services as we learned in “New Service Development and Innovative Business Models” course at Laurea. That is called the Lean method. The Lean method has its origins in the 90s and in Toyota’s manufacturing system called “Lean manufacturing”. The word “Lean” suggest that elements that do not create value should be decreased or eliminated in the business process. Instead of traditional business plans the Lean method highlights making hypothesis -> summarizing the hypothesis in a business model canvas -> creating a minimum viable product -> asking feedback from the customers -> failing fast -> starting the development cycle all over again. 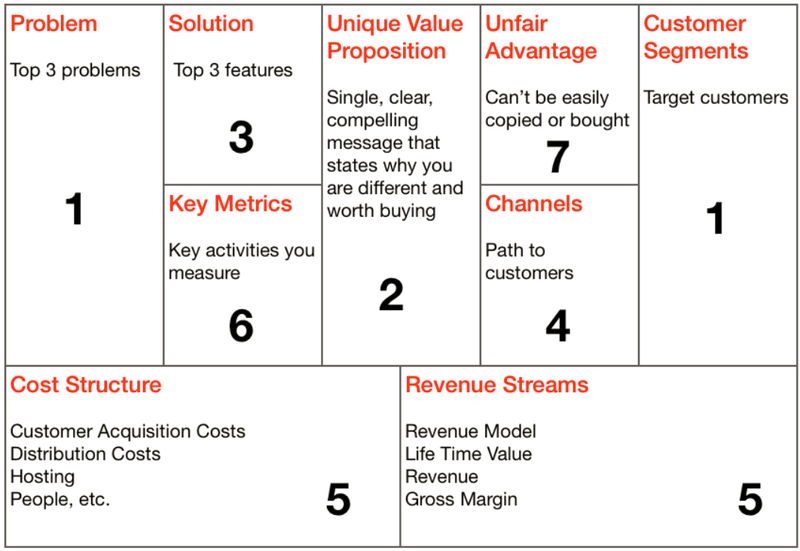 In addition to the business model canvas, a particular lean canvas was developed. Developing a Minimum Viable Product (MVP). The following picture highlights the product development process and the MVP creation. It does not aim to create an exceptional viable product (EVP) but a minimum viable product (MVP) with just the critical features to create value for the customer. I really liked that part of Lean methodology that highlights the idea of failing fast, learning and developing. I think that if failing and failures would be more acceptable in our societies it would lower barriers for entrepreneurship. Implementation of the Lean method would help in realizing that failing is actually desired and needed in the development process. I also think that entrepreneurship skills and business development techniques should be taught more at schools – already for young students. In this way we can create and strengthen an entrepreneurial, innovation-based economy. Finland is already a start-up hub in Northern Europe – this was once again seen in the SLUSH investment event which is organized in November every year in Finland. It is one of the biggest start-up and investment events in the world. Finland is also one of the most innovative countries in the world. Naturally we want to maintain and improve our position.